I am truly glad you decided to consider my candidature as an Au Pair for your family. 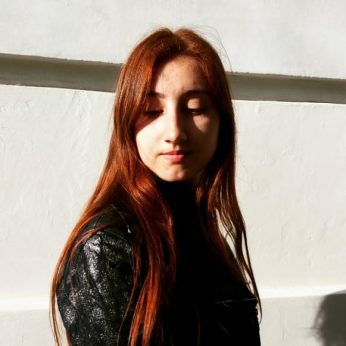 My name is Inga, I am 21 years old. I was born and grew up in Siberia in a small city called Tomsk known for its universities. Our family is small. My elder brother Alexander is 29 years old and works in a puppet theater. My father Eduard runs a small grocery shop. And my mom Tatiana cares for the whole family to be well-fed, good-looking and healthy. Since early childhood, I have been developing many skills. Since the age of three, every Sunday I am spending in an art studio. Five years ago, I graduated from the music school as a flute-player. At different times I also went fencing, swimming, and Irish dancing. One of my favorite hobbies is learning languages. Since the first year of school, I have been studying English. Later, I have studied French for two years and when I went to the university I have started Italian and Polish languages. Currently I am truly into Scandinavian languages and culture and hope host family to help me with blending into the society. This knowledge already helped me. In my third year at the university, I took part in a student’s exchange program Erasmus+. For six months I have studied in Verona, North of Italy. Hobbies are not the only important thing in my life. I also adore animals. Currently, we have a cat called Utah – cuddly ball of fur at home and perfect hunter outside. I love animals and they love me back. Since childhood, I have been into dogs, and I have tried to learn as much as I can about them. Unfortunately, we do not have an opportunity to have a dog, but I am 100% sure, I will be a proud owner of a four-legged friend. I was always interested in communication with kids: they are so creative and spontaneous. 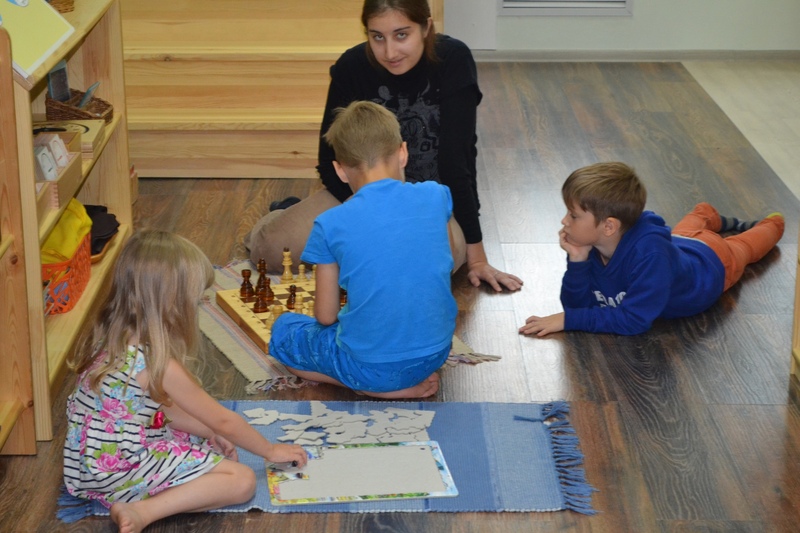 In August 2018 I joined a Montessori kindergarten “Ledentsovoe okoshko” (“Candy window”) for two weeks. 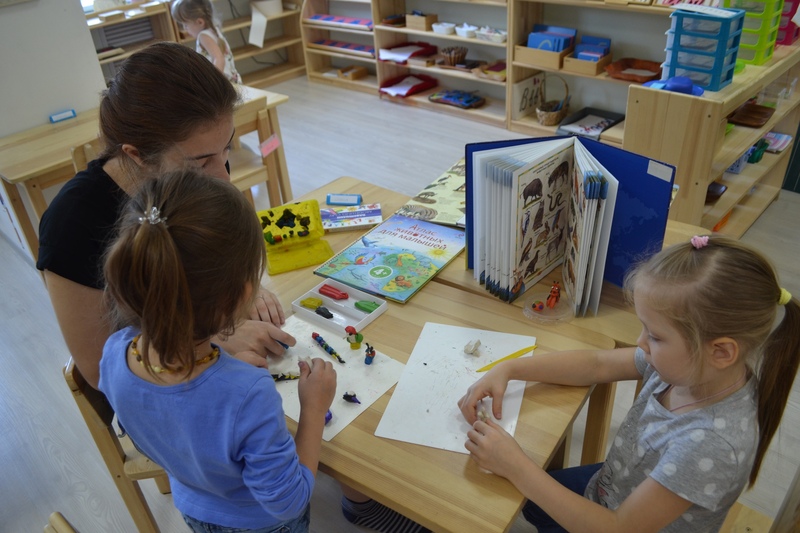 It was the time before Maria Montessori’s birthday, and so we decided to learn more about Italy. It was the most marvelous experience in my life! We sculpted from clay, made appliqués, read and wrote, sang songs, told others about what we learned during the day, went on excursions and visited the theater. After this, I was reassured I want to participate in an Au Pair program. For the first time, I heard about this program in 2007 when my brother went to Germany as an Au Pair. Already then, I was mesmerized by the opportunity to learn more about the life and culture of another country with the help of a host family and its kids. As the time went I was more and more into kids. I was interested in the ways they think, they act, they feel. I wanted to know how to understand them and how to take proper care of them. As I think I am a good candidate for an Au Pair because I worked with kids and I am constantly working on developing my knowledge of kid’s psychology and children in general. Just because it fascinates me. I am quite flexible and can adapt quickly to the new environments as well as developing new skills. And I know how it is to live in another country. After the Au Pair program, I am planning to continue my education. I can do my Master in languages or I will find something exciting and decide to have a second bachelor’s degree in another field of studies. Yes, I am used to light housework as washing the floors, vacuuming, washing dishes. I worked with kids from 4 to 9 years old.